Lindon Engineering Services, Inc. has been providing Engineering Cost Analysis and Facility Management services to businesses with a need for more efficient operations since 2005. As engineers, we assist CPAs, Tax Professionals and their clients in the performance of cost segregation analysis, asset disposition studies and construction cost control measures. Our no-cost preliminary review with the tax advisor and/or CPA prior to beginning an assignment results in 100% anticipated success for every study performed. We will even address reasons a cost study may not be appropriate before a study begins. Our engineered cost studies provide the assurance of quality results in each project application. As such, the tax advisors that utilize our services are typically delighted with the results leading to return engagements. With our detailed study, the tax professionals are then able to apply them to their clients in such a manner that the most efficient and cost-effective tax treatment is realized. 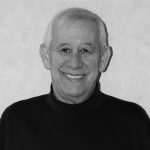 Donald K. Archer is the president and founder of Lindon Engineering Services, Inc. in Jeffersonville, Indiana. He has a broad background in engineering design, construction management and cost analysis on a variety of engineering and construction projects. He is a graduate of the Illinois Institute of Technology with a Bachelor of Science degree in Civil Engineering and the University of Louisville where he earned a Master of Business Administration and Master of Engineering Management degrees. He has also served as an Adjunct Professor of Engineering Management in the University of Louisville Speed Scientific School’s graduate program where he has offered courses in engineering cost analysis, construction management, and probability/statistics. 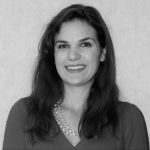 Paige is a consulting engineer and is responsible for performing cost segregations and asset dispositions. 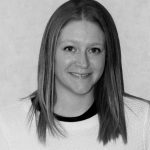 Paige has been employed with Lindon Engineering Services since 2011 and has performed numerous cost studies on all types of properties nationwide, including automobile dealerships, apartment complexes, restaurants, health clubs, manufacturing buildings, office complexes, and retail centers. Prior to Lindon Engineering Services, Paige worked at Reynolds Flexible Packaging factory in the Environmental, Health, and Safety department performing environmental analysis to ensure state permit compliance. During 2013, Paige received her Engineering-in-Training certification (Fundamentals of Engineering exam) and a B.S. in Civil and Environmental Engineering from University of Louisville Speed School. 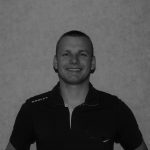 Andrew is the project team leader and is responsible for performing cost segregations and asset dispositions. 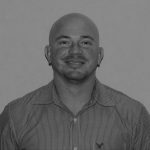 Andrew has been employed with Lindon Engineering Services since 2014, and has performed numerous cost studies on properties nationwide; including automobile dealerships, apartment complexes, manufacturing buildings, office complexes, and retail centers. During 2016, Andrew received his B.S. in Civil and Environmental Engineering from University of Louisville Speed School. Prior to Lindon Engineering Services, Andrew worked at the Kentucky Transportation Cabinet in the Construction department where he was responsible for ensuring the quality of the road construction, as well as the Utilities department where he was responsible for calculating the cost of relocation for several utility companies in a proposed road project. Wesley is a project engineer and process improvement specialist, specializing in cost segregation studies. 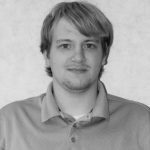 Wesley is experienced in construction, industrial and civil engineering, obtaining his Bachelor of Science degree from Purdue University in Organizational Leadership and Supervision after completing 2 years in Purdue’s Building Construction Management program. Wesley utilizes his experience implementing the most cost effective techniques to assist businesses’ productivity. Tyler is a project engineer and process improvement specialist, specializing in cost segregation studies. Tyler is a member of the 445th Civil Engineer Squadron in the United States Air Force Reserve as an, 3E551 (Engineering), Engineering Journeyman where he does complete designs and as-builts for new construction projects, completes site surveys, and performs the duties of a construction manager such as: dig permits, daily site visits, and quality control inspections. He is currently attending Arizona State University to complete his Bachelor’s of Science in Criminal Justice and Criminology alongside of doing the coursework to pursue his Master’s Degree in Engineering Management. Katie is the office manager and is responsible for managing all administrative duties. Katie has been employed with Lindon Engineering Services since 2014. 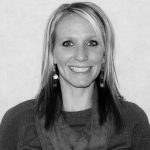 Prior to Lindon Engineering Services, Katie worked at Norton Healthcare in the Human Resources department. During 2010, Katie received her A.S. with emphasis in Business from Midcontinent University. Brittany is the administrative assistant and is responsible for assisting with all administrative duties. Brittany has been employed with Lindon Engineering Services since 2016. Brittany is a graduate of Indiana University Southeast where she obtained her A.S. in Business Administration. Brittany has several years of experience in an office setting.